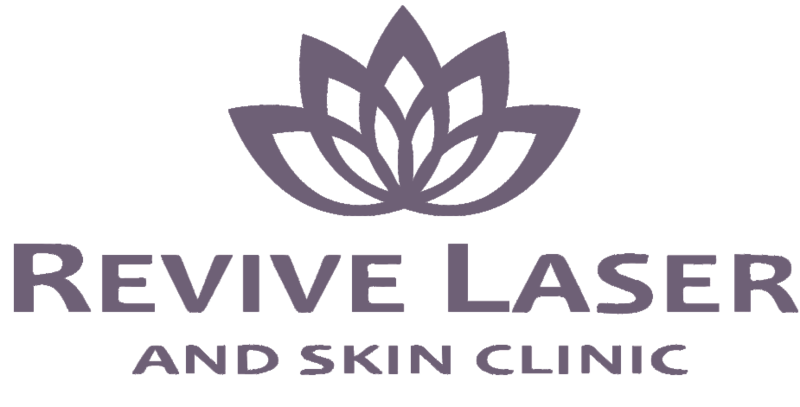 Laser Hair Removal should work very well for the right candidates, but not all Laser Hair Removal machines (or the technicians performing the treatments) are created equal. In fact, many clinics advertising “Laser Hair Removal” are not using an actual laser but are using IPL. IPL (Intense Pulsed Light) is a shallower wavelength (depth) and is powered by a light bulb, which makes it not nearly as powerful as a laser. As Laser Hair Removal works via the light seeking out the pigment in the attached hair follicle, which absorbs the heat and is then destroyed. IPL typically does not have the same power of a laser and is usually not strong enough to destroy the follicle, only stun it. Its energy is also highly absorbed by targets other than the hair follicle, such as hemoglobin (veins) and pigment, so much of the laser’s energy does not make it to the deeper follicles. Most IPL treatments may seem to help for a while, but they do not usually retain the results long term. The reason IPL is commonly used for hair removal is that the equipment is purchased for its cost-effectiveness and versatility, as it also can be used to effectively treat superficial pigment and facial vascularity (photo facials). This makes it appealing for many small businesses, but it may not be the best technology for effective hair removal for the client. Effective, permanent hair reduction is possible, but requires 2 things; an experienced technician and a superior quality, well-maintained LASER. This one can definitely be true for some, but not with our machine! Our laser beam is fractionated, which means broken up into smaller pieces. Other lasers shoot pulses one at a time, sending 100% of the energy in each pulse. This also means 100% of the PAIN! Because our beam is fractionated, we fire many pulses in succession, so the result is a destroyed follicle just like the other machines, but with a fraction of the pain! We also have other tricks to keep you comfortable, such as using rollers which have been in the freezer, as well as a Cryo machine that blows very cold air alongside the laser. Our clients have never asked for numbing cream! Many people believe that going to see a doctor will ensure that they receive a safer treatment and better results; however, this is not always the case. What matters most with laser safety and efficacy is the training and experience of the technician who will be performing the treatment. Unless they have attended specialized laser training, doctors and nurses do not automatically understand how lasers work or how to use them. Even in clinics where there are doctors present, they are typically not the ones performing the treatments and have hired laser technicians to work with them. There is also no governing body for laser operation in Canada and there is currently no official certification. Any doctor (or anyone for that matter!) can purchase a laser, but this does not necessarily mean that they are experienced with them, or qualified to perform safe and effective treatments. Always ask questions in your consultation. Ensure that your laser technician has been certified by a third party, as well as the laser equipment manufacturer. Ask if they have at least a couple of years of experience or will be closely supervised by someone who does. There is merit to this myth, however, it is not necessarily true. As the laser seeks out pigment (color) in the hair follicle inside the skin, the greater the color difference between the laser’s target and the surrounding tissue, the easier it is for the laser to find where it needs to go and do its job. With that said, technology is advancing every day and many people with dark skin or darker blonde hair can absolutely receive safe, permanent, effective hair reduction with a newer, superior quality laser. For those with white, light red or very light blonde hair, the rules of physics just aren’t fair. Dark absorbs light, white reflects it. So, the lighter hair follicles can’t be seen by the laser and unfortunately, currently, there isn’t any effective technology available. Back to the first myth, not all equipment is safe to perform all treatments. 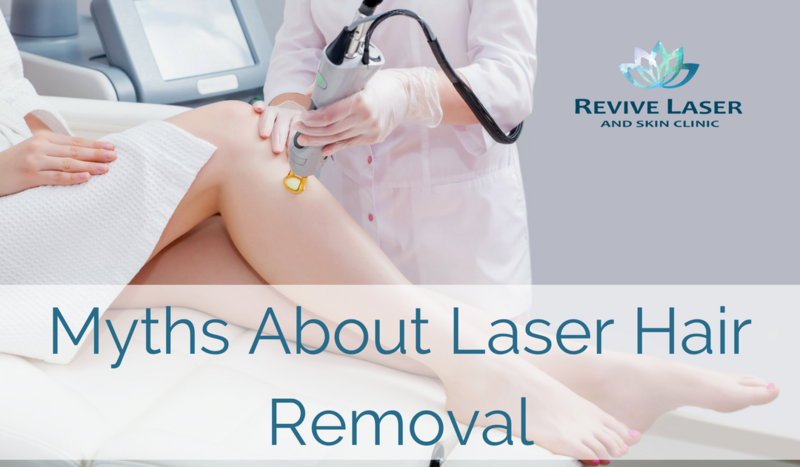 Most of the burns from laser hair removal are created by IPL, which scatters the light into the skin much more than a laser. The scattered light and heat are more prone to being absorbed by the natural pigment in the skin, creating burns. Lasers are deeper and usually much safer, especially for darker skin and many are approved to safely treat very dark skin. Ultimately, the safety of your treatment will come down to the training and experience of the laser technician. Make sure to read reviews and ask questions! Also, be sure to be very upfront about any sun exposure you have received in the few weeks prior to your laser treatment. Recently tanned skin cannot be lasered to avoid ending up with skin discolorations. It is true that laser hair removal comes at a cost when compared to shaving. But it definitely pays for itself if you are a regular visitor to a beauty salon for waxing (which is lifelong vs. 6-8 laser treatments) and if you consider the countless hours of waxing and shaving added up over the years. The choice is personal whether getting rid of that hair forever is a priority to you. But where we are most concerned is all the people who don’t want to deal with the hair anymore but fall for the cheaper alternatives that don’t work or can be harmful, such as the creams, gadgets, “at home” laser devices or the IPL group deals. Simply put, good quality, Health Canada and FDA approved lasers will usually cost upwards of $50,000 and the adage of “you get what you pay for” very much applies here. Many people waste so much money trying to avoid the higher cost of a (quality) laser treatment, that they may have been better off in the first place to do their homework and commit to something safe and effective.